XCMG tegi 2012 aastaks 400st kandevõimega kalluri. 400 st kandvõimega kallureid on teisigi. Neist suurema e. 496st kandevõimega on Belaz-75710. 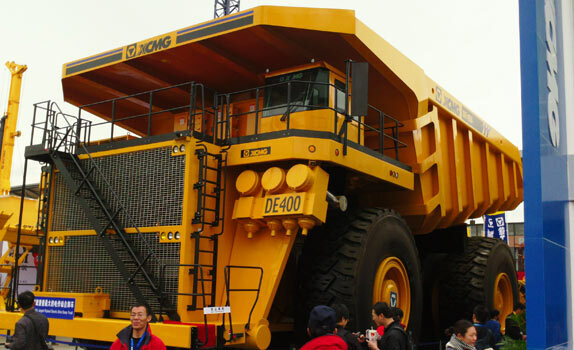 The world’s largest-tonnage mining dump truck DE400 jointly designed and developed by XCMG Railway Equipment Co., Ltd. and Research Institute rolled off the production line on 5th November, 2012. 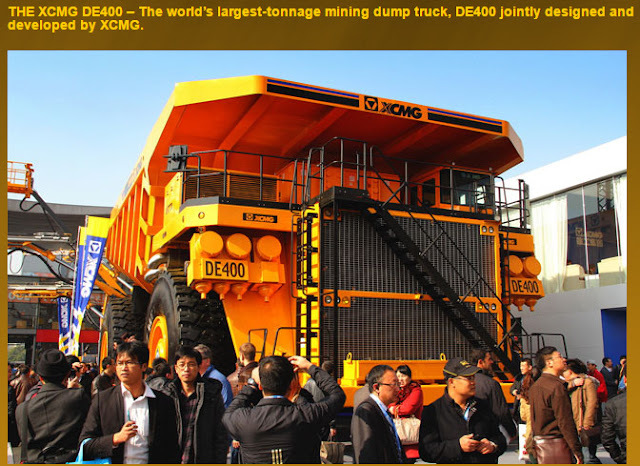 The new dump truck will be showcased during bauma China 2012, which to be held in Shanghai New International Expo Center in 27-30 November, 2012. To ensure the DE400 can be displayed at bauma China 2012, the staffs worked at the assembly of the truck in 8-hour shifts daily to make sure the assembly can be carried out 24 hours a day. With such a group of people that adhere to XCMG’s core concept, XCMG rolled out the machine successfully on schedule.